Morristown, N.J. — The Berger Charitable Foundation released its 2018 Annual Report outlining the Foundation’s charitable giving during fiscal year 2018, which ended on June 30, 2018. The 2018 Annual Report highlights the Foundation’s activities in supporting education and community development and in contributing to the United Nations Sustainable Development Goals. Among its many accomplishments, the Foundation partnered with Bridges to Prosperity (https://bridgestoprosperity.org; B2P) and American Bridge Company (American Bridge) on its signature project. 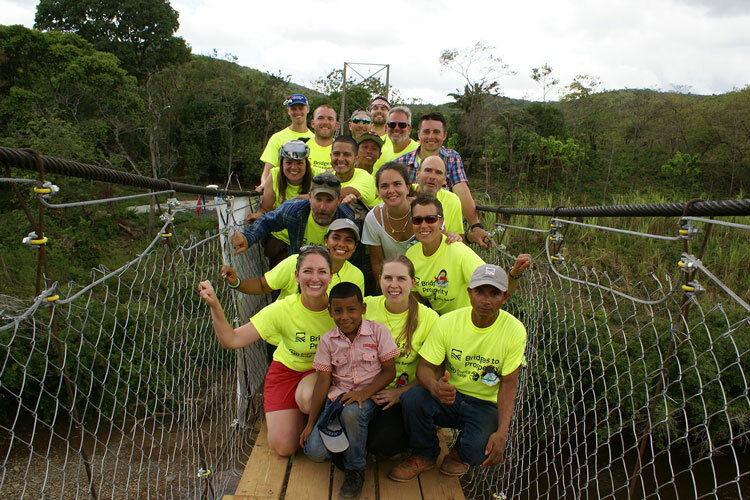 A team of 10 volunteers from Louis Berger and American Bridge worked with B2P to construct a pedestrian footbridge in the Veraguas province of Panama. The new 290-foot suspension bridge is now providing nearby communities with safe, year-round access to markets, schools and medical facilities. “This project is a perfect example of delivering on our promise to provide Solutions for a better world. It is a great way to commemorate the combined legacies of Dr. Louis Berger, the company’s founder, and Fred Berger, who helped fund the Foundation through a bequest,” said Bob Nardi, Louis Berger vice president and the Berger Charitable Foundation president. In an interview over 50 years ago, Dr. Berger stated, “The new role of the engineer is to help solve the big social problems that confront society. I am not interested in building a bridge just because someone says one is needed. I want to know if it is needed, and why, and where is the best place to put it. I want to know how the building of that bridge will change the lives of the people who use it.” Participating in this project enabled our volunteers to see first-hand how the bridge will change the lives of the people who use it. During fiscal year 2018, the Foundation awarded 11 grants to a wide array of charitable endeavors. “The Foundation would like to thank the many individuals who collectively volunteered over 1,000 hours to support charitable initiatives over the past year,” said Nardi.